Join us in celebrating Bible recordings for 1,000 people groups around the world. From rural villages to refugee camps, a gentle whisper stirs as people hear God’s Word. Rejoice over Scripture recorded in more than 1,000 languages. Challenge yourself to be a part of 1,000 more! Rómulo Sauñe was a man of great vision and destiny. His love for God and for his people led him to translate and record the Bible in his Ayacucho Quechua language. 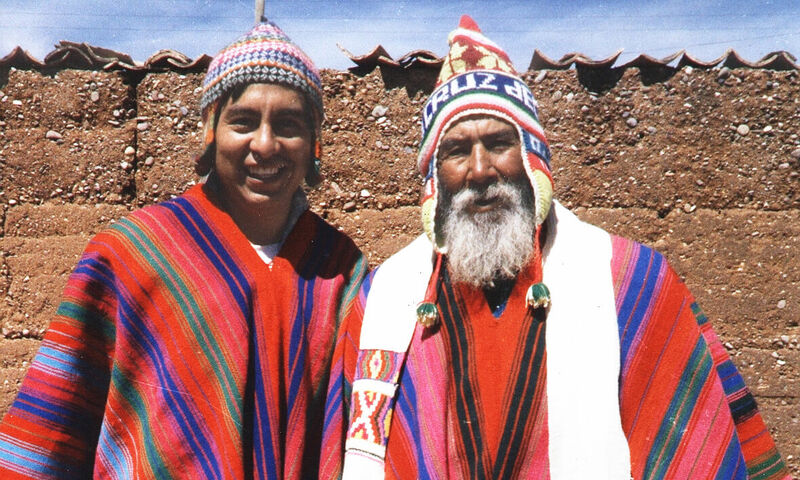 He knew the Quechua people would be able to understand the Gospel if they were able to hear it in their language. His simple acts of faith led to a country-wide movement in Peru and beyond. 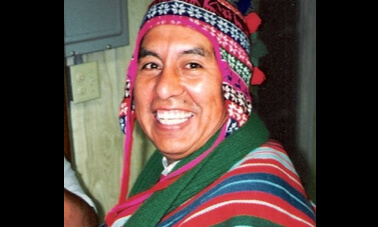 He founded the organization Runa Simi, in which his wife, Donna, and the staff faithfully continue the work he began–reaching the Quechua people with the Good News of Jesus Christ in their languages. 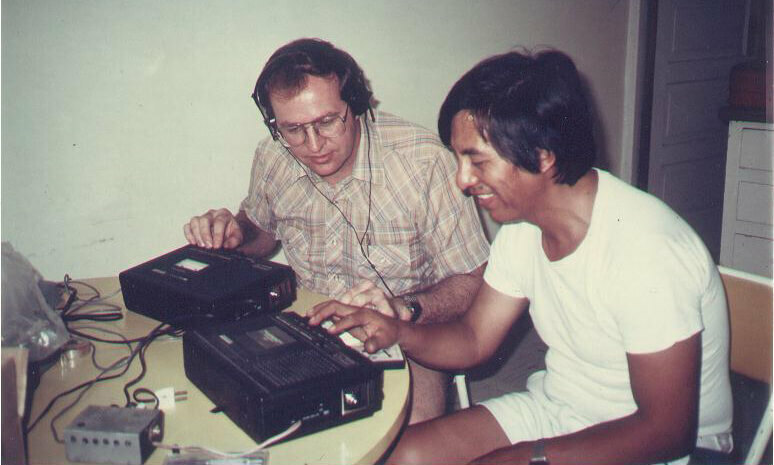 In the late 1980s, Faith Comes By Hearing came alongside him to duplicate his recording and provide cassette tapes of the Audio Bible for the Quechua people. During this time, believers had been forced to live in caves, hidden from the Shining Path terrorists. When news of the Audio Bible spread, people walked for days, risking their lives, to obtain one. The seeds of Rómulo’s obedience and sacrifice are still bearing great fruit. The following testimonies are a great witness to the glory of God! "And this is love: that we walk in obedience to his commands." – 2 John 1:6. “I had a very sad life full of vices and fighting with my wife and family. My life began to change when I started listening to God's Word. Some of my family can't read and write, but we listen together to the Audio Bible every day and they are able to understand His Word. Now they are all believers. Not only have my life and the lives of my family members changed, but also my community. We all want to serve God. 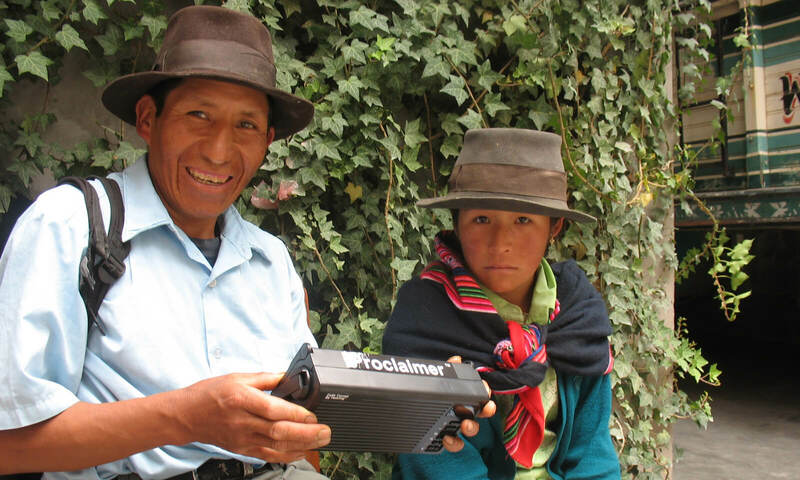 Because many don't know how to read the written Quechua Bible, more Proclaimers are needed so that each leader can have one to win others to Christ.” – Ramón, listening with his family members. In 1992, Rómulo Sauñe was martyred for his faith by the Shining Path terrorists near his home village in Peru. He is pictured here with his grandfather, Justiniano Quicaña, who had also been previously martyred by the same terrorists. His grandfather taught him about the love of Jesus. These seeds of love and sacrifice have sown a lasting legacy that lives on in the hearts of the Quechua people today. 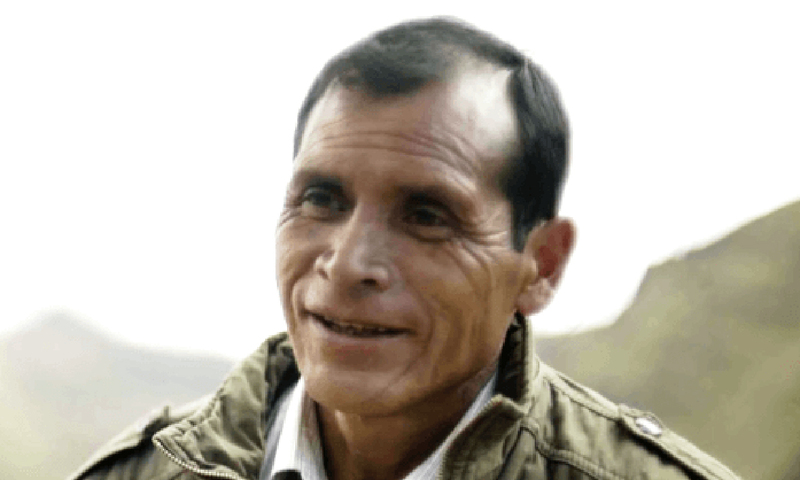 Pedro’s story, shown in the video below, was one of selfishness and rebellion. He hated Christians. But God had other plans for him. 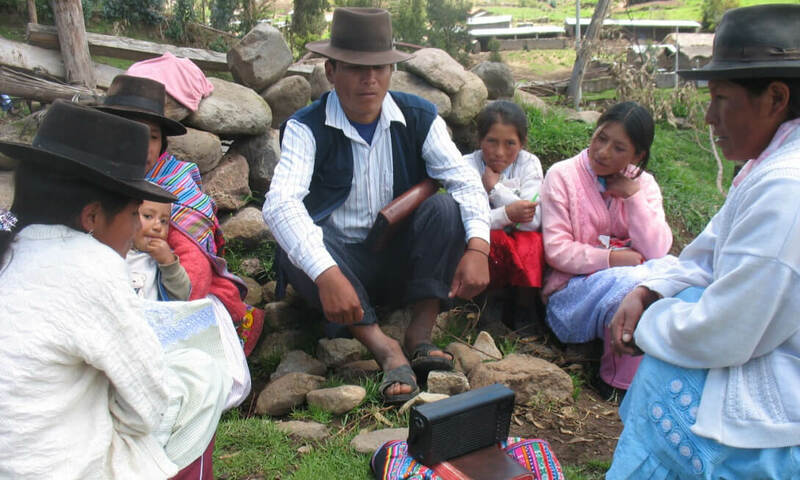 As the Quechua people are able to hear for themselves the Good News of Jesus Christ in their languages, lives are being transformed for eternity. 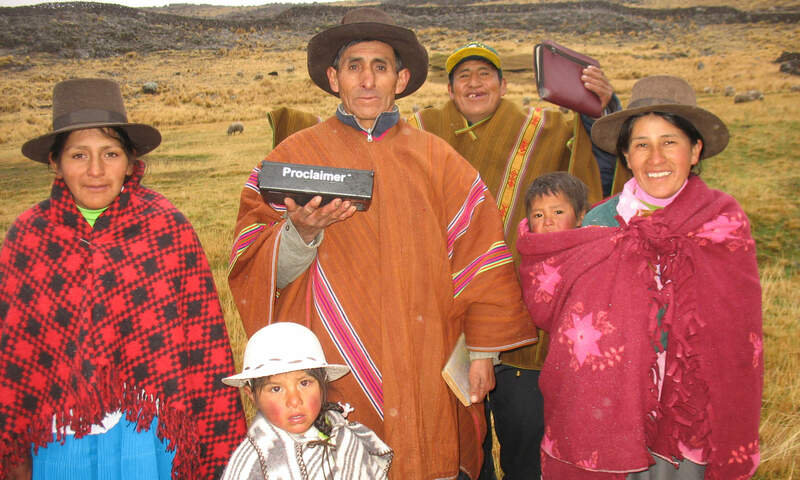 Today, 24 out of 33 Quechua languages have Scriptures recorded. 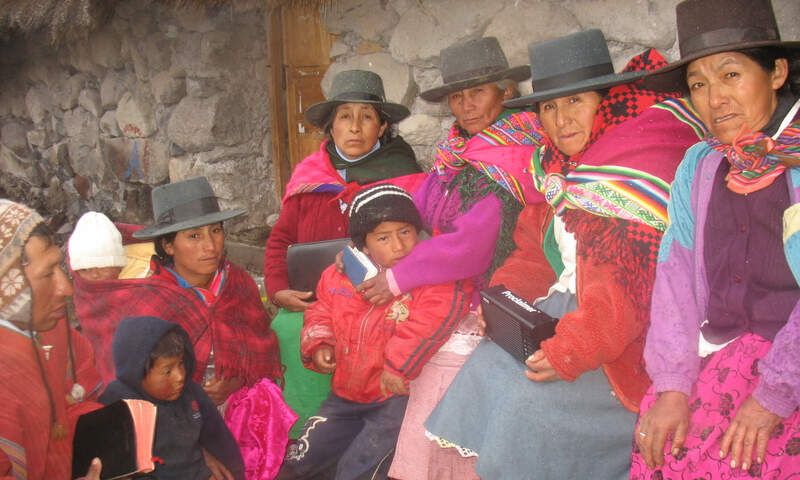 Millions of Quechua people, representing the largest ethnic group in South America, have the opportunity to hear God’s Word in their languages. But many more still remain to be recorded, not only among the Quechua, but around the world. Join us on this great adventure to record Scriptures in 1,000 more languages. Missed last month’s story? Learn about the Sunuwar Bible recording.